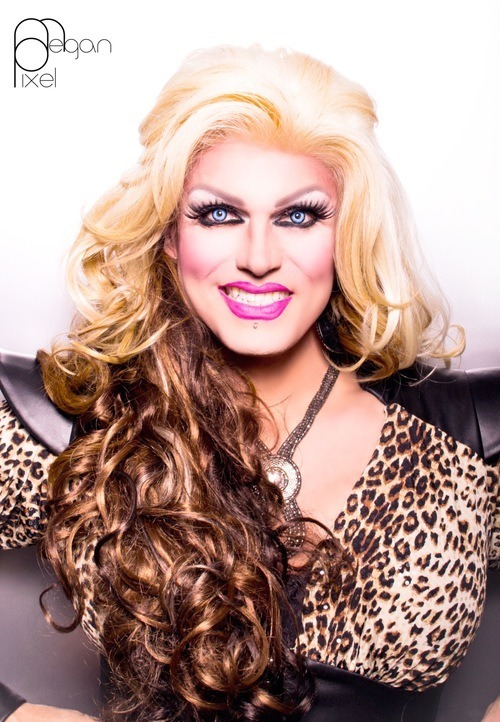 Complete Pollo Del Mar Interview – Drag Queens Galore! 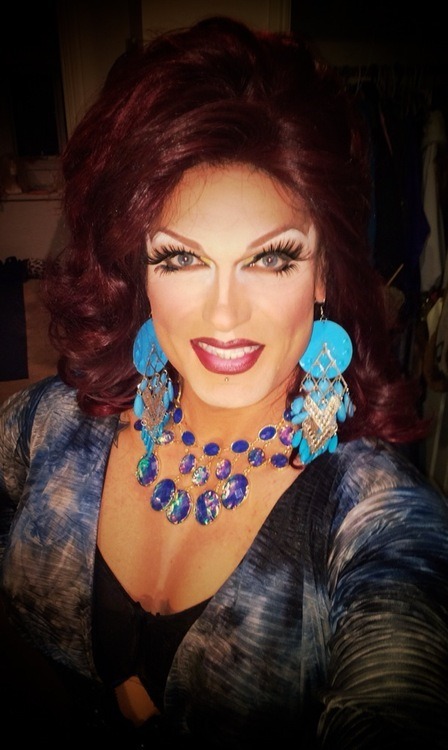 We had the great privilege of speaking with one of San Francisco’s most famous drag queens, Miss Pollo Del Mar. We asked her for 20 minutes and took three times that. We’d like to apologize, but speaking with her was so much fun any apology would just come off as fake. We had so much to talk about that we need to break up the interview into a few parts. Our first segment will help you get to know Pollo Del Mar a little better. She’s a drag queen who has been doing drag since 2006. She carefully calculates all her career moves, has taken the time to get to know her fans, her audience and craft. We thought it especially cute to hear about her drag family. DQG: Do you have a drag family, drag mother, drag daughter(s)? 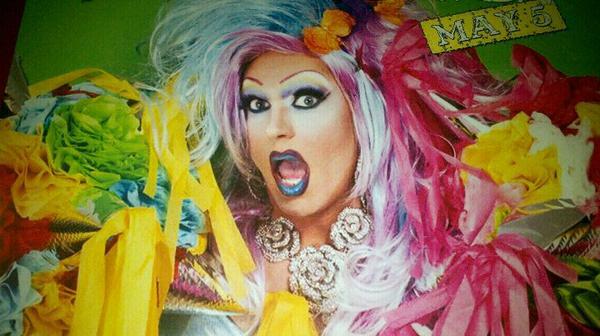 PDM: Oh yes, I am part of a House called the House of Glitter and my drag mother is Landa Lakes. 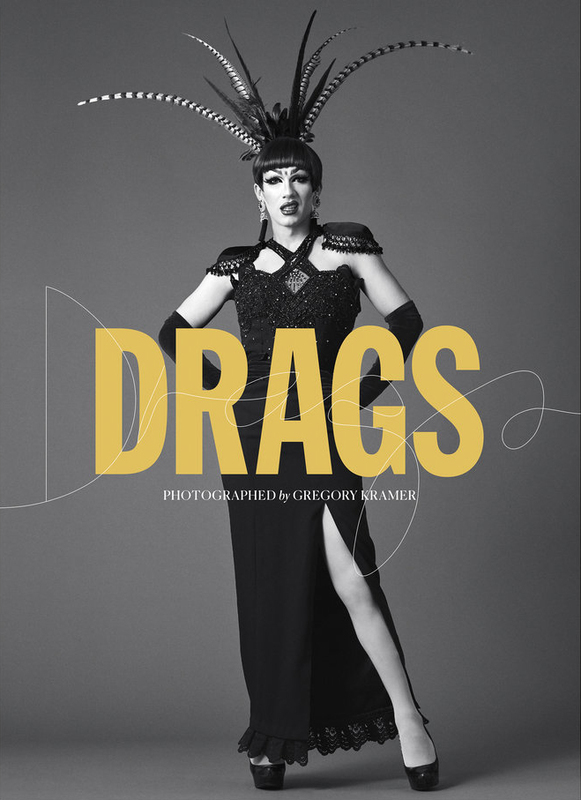 We have a humongous family, we have a huge drag family. And surprisingly tight nit despite how huge we are. In fact every week on Mondays we gather for a public dinner together. Not everyone can attend every week, you know it’s a rotating cast. We love it. It’s a great opportunity for us to spend time together outside of performing together and all of those wonderful things that we always do. I have tons and tons of kids and staying very true to my white trash roots, I have tons and tons of children and don’t know who any of the fathers are. We were very surprised that the House of Glitter was so close, we can’t even say we have weekly meals with our real family members. What a great sense of family in the drag world. We asked her who she admired most or looked up to. She couldn’t put her finger on one in particular but she does want to have similar success to Heklinaand Peaches Christ. Heklina is a San Francisco based queen who runs a show called “Trannyshack” which stars queens of all forms. Peaches Christ is also a San Francisco based queen whose events are held in the Castro Theatre and include Apollonia coming in July. She also recognizes the legendary Lady Bunny (which drag queen couldn’t) and Jimmy James an “iconic 80’s and 90’s Marilyn Monroe impersonator” who made Pollo feel like “a little gay kid who was living in a surreal dream,” when she had dinner with the two of them. But she is also inspired by the queens who are fresh on the scene and hungry to make a name for themselves. Pollo Del Mar is definitely a cool queen. We had so much fun and we’re so happy to tell everyone, there’s more of this interview to come, so stay tuned. Also, she’s kind of a control freak, so we definitely won’t let anything get out of control. She admits she knows why she wasn’t cast when looking back on her audition videos and is grateful that she wasn’t cast due to the dramatic change in her overall look. She’s glad she didn’t go down in Drag Race Herstory with her former look. As for this season, the requirements were just more than this busy lady has time to complete. Being a regular contributor to the Huffington Post Blog, hosting The GlamaZONE at The Café in San Francisco, creating “educational” YouTube videos on her very popular channel and being the proud parent of two beautiful pups doesn’t leave much time for a 40 hour project, which is what it would have taken to create and submit the video for this season. She also said she’d have to get in and out of drag about 30 times! We asked her about the statement made by Honey Mahogany during Season 5 that San Francisco was “not about the look.” She said the statement is true, but out of context. She explained that San Francisco drag is very eclectic and as a result, San Francisco doesn’t judge your drag on a specific look like pageant or camp. Honey’s statement alone explains Pollo’s point, you never know what the editors will show and what will last in the audience’s mind. Although, if the world got to know Ms. Pollo Del Mar as we have, they’d be in love. She’s really a compassionate person who admits, if in a competition, she’d do what she had to and the nice side would probably go out the window. “There’s $100,000 on the line” explains it all. In our next segment we’ll cover the fan questions, so stay tuned! Oh and we’ll have more news on what’s next for Pollo and some additional pictures of the beautiful queen. In our final fan segment of our interview with Pollo Del Mar we share with you a side of her you’ve asked about and she wants you to know. We asked her what her fans might not know but should. We were surprised to learn that she’s really shy. Whether it’s “a male or female, or online or in person” if they’re flirtatious with her, “it completely catches me off guard and I kinda go into a shell, it’s very contradictory.” We have found that very true with some of the other queens we’ve met and mentioned as such. 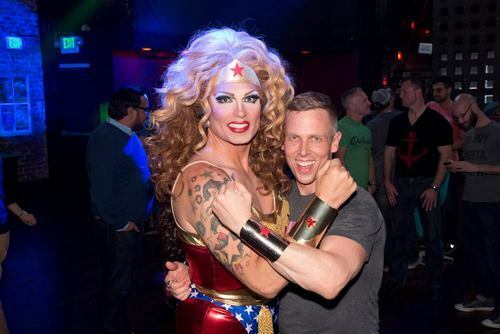 She commented, “Doing drag makes me a super hero, Wonder Woman isn’t just an icon, Wonder Woman is how I feel.” She admits to accidentally slipping into “Pollo” personality without makeup with her boyfriend and has to pull it back. She feels drag performers become people they aren’t necessarily able to be 100% of the time through the character they create versus who they are behind the scenes. Fan Question from Candace Kraus: “What’s it like to be a sober queen in the industry?” Her response was surprising to us, “the entire time I’ve been performing, I’ve never used drugs or alcohol ever. In my personal life I don’t participate in that. And I celebrated 10 years of sobriety in April.” Congratulations Pollo! She performs for the crowd so the adrenaline and passion for what she does gives her that extra energy. She’s fortunate that the area of San Francisco she live in does support her sober lifestyle. Not necessarily as true when she travels, but she’s Wonder Woman, so she can’t be defeated! She added, it allows her the advantage to pay attention to what’s happening and ensuring everyone’s have a great experience at her show. Which was not the case when her “fun became more important” when involved with “extra-curricular” activities. She can also pay attention to those who have a little too much and prevents any harm from happening when she can. We followed up with the inquiry into why lesbians like drag queens so much and she said, “she has a more significant lesbian following than most” she’s comparing to her show to others she’s been to. She reads people in the crowd and feels like she pays attention to the women in the crowd not just playing to the men. Fan Question from JenDoof: “Will you adopt a black bae?” She laughed about the question because it was a play on the fact that Pollo admittedly loves dating black men. She said, “at some point in my life I think I would love to be a parent.” She said her mom would be so happy, but she needs to have the stability in a partnership and relationship to ensure her child is raised with the best chances. She talked with us about her name and if it was related to Jessica Simpson. She admitted she was a fan of Jessica, but her name did not come from Jessica Simpson, even though the timing was within a year of the “Chicken of the Sea” incident. Her name actually came from an item on a menu and evolved through time. Her advice to anyone coming up in drag, “If you’re not having fun, nobody else can have fun.” She also added she’s always had a plan and makes sure she checks herself every six months or so. She talked about her preparation for TrannyShack Star Search and the Miss TrannyShack Pageant. She added one additional piece of advice, “Do not trade off your identity behind the makeup for your identity in the makeup.” She said she went through quite an experience with a close friend of hers when she learned that lesson the hard way. Her next big project is Silicon Valley Pride, which is happening on Sunday, August 17th, 2014. 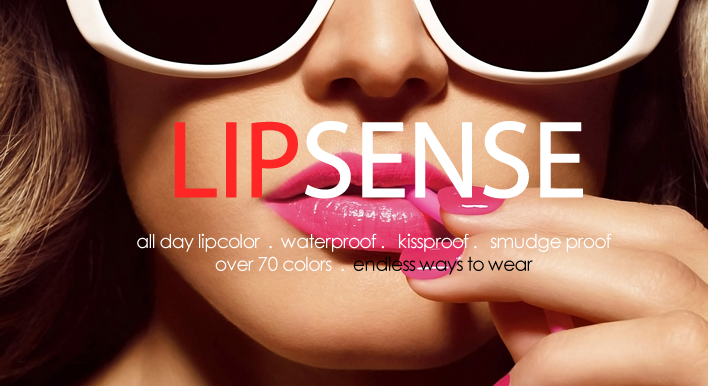 She’s been hired on to re-brand and give new birth to the event. She’s happy Silicon Valley Pride can provide that sense of community for those who don’t have that safety in their own neighborhoods. We had a great time learning about Pollo Del Mar and we hope you had the same fun. We’ll put the entire interview on our website for permanence since we’ve enjoyed getting to know her so much. We thank her for taking the time to speak with us and enjoy what’s to come from her.